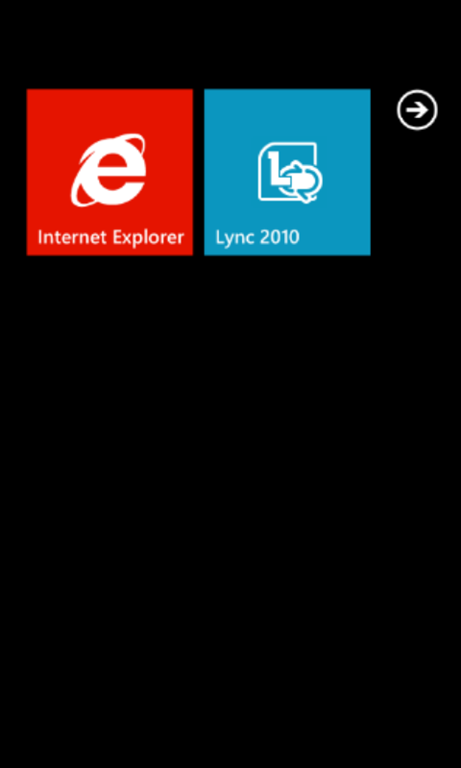 So about an hour ago Microsoft pressed the big green GO button for the first official mobile client for Lync (excluding blackberry!). 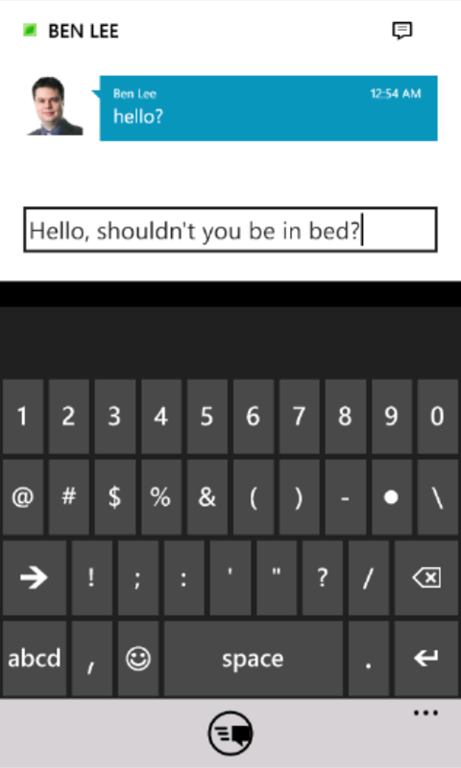 The client is available in the WP7 market place here for GB or here for US (it will redirect you to the right market place if you aren’t in either!). 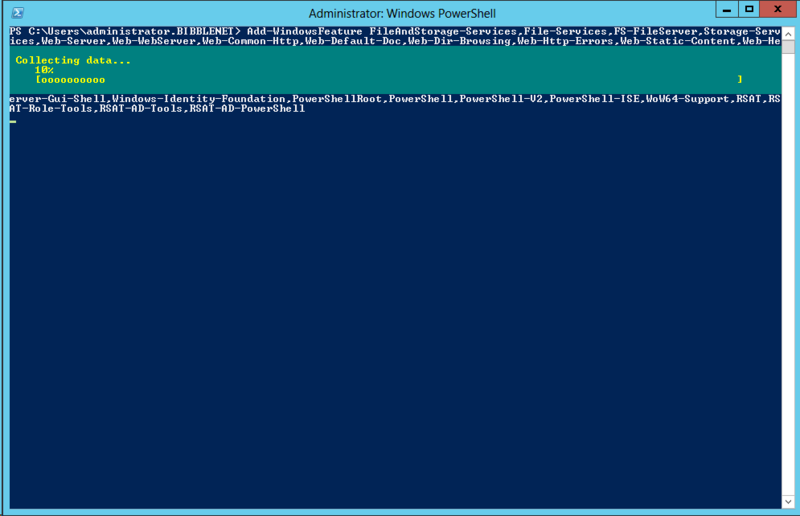 To connect I had to enter my username in a “domain\user” format – This might just be because our SIP addresses don’t match the usernames. 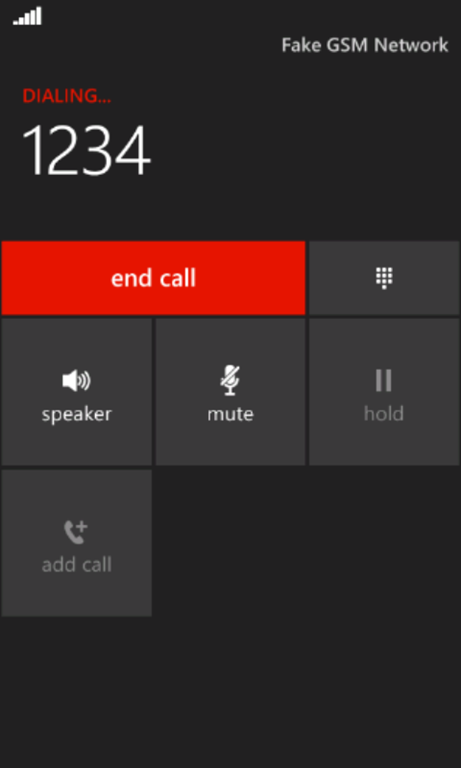 A nice little splash screen & walk through at first run, if you are enterprise voice enabled this will ask to forward calls to the mobile number you entered. 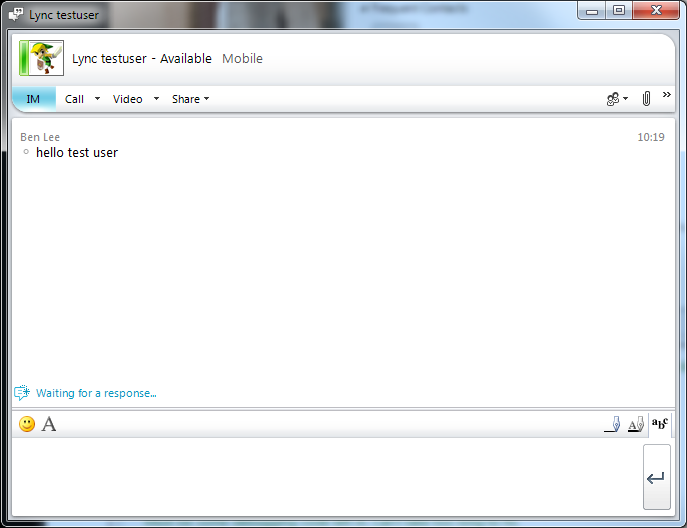 Fairly standard conversation with threading as you would expect. 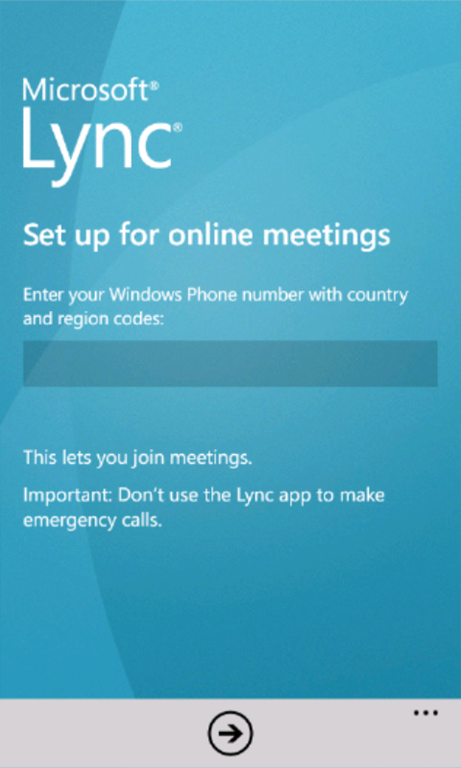 When you click a join meeting link you’re taken to Pocket IE & then launched into Lync mobile. 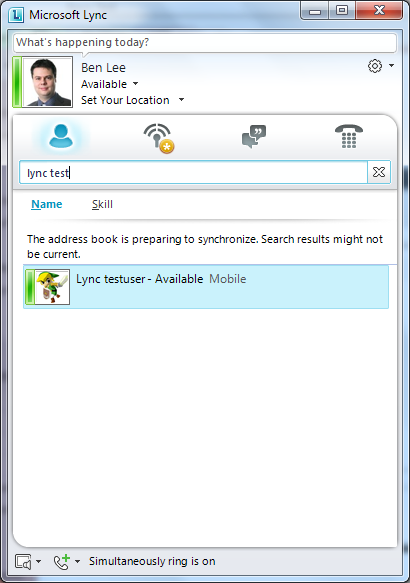 The app will get Lync to initiate a call to your phone & then you can swap back & forward into the meeting content area. 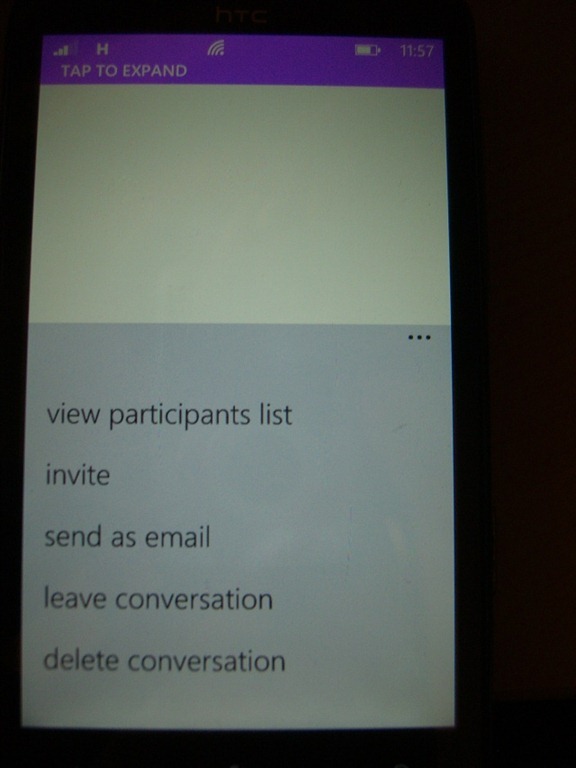 From the main screen in the app you can also see the status of any meetings you have joined. If you are an EV user you can “dial via work”. 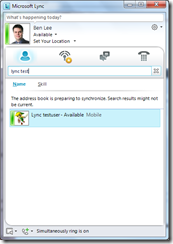 Enter your number & Lync will then call your mobile & then when you connect it will call the recipient & join the two audio streams together. 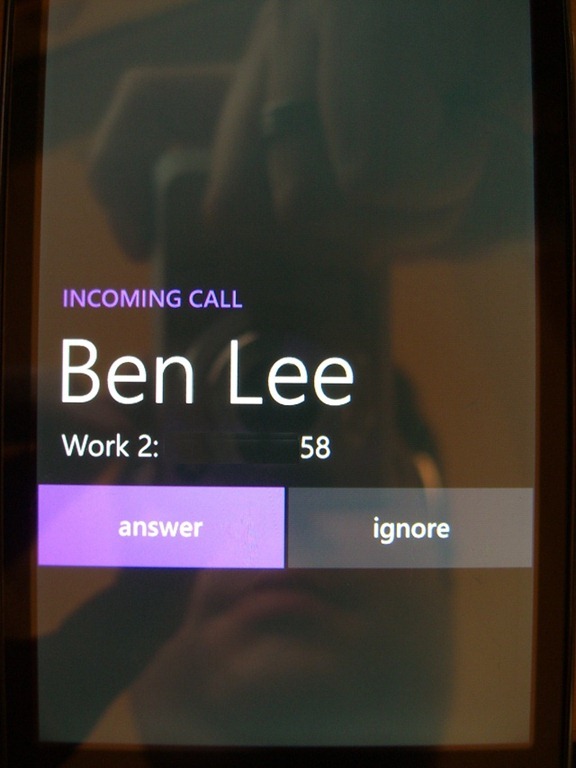 Great if you want to ring people when your out and about without revealing your mobile number (Caller ID shows your work number). Again not surprisingly, no inking support but I can live with that! 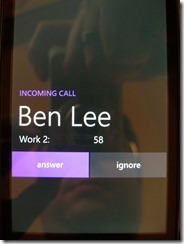 Send an IM to a user when the client isn’t running & the phone receives a “toast” notification. Quite nifty. 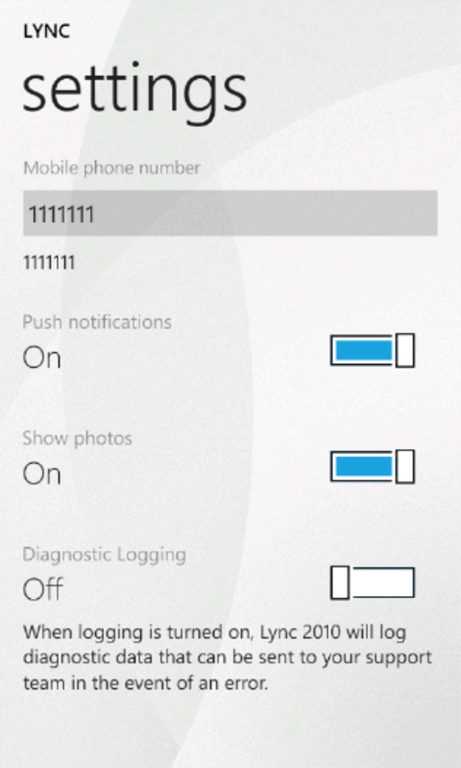 Shame there doesn’t seem to be any livetile support to show you missed notifications. 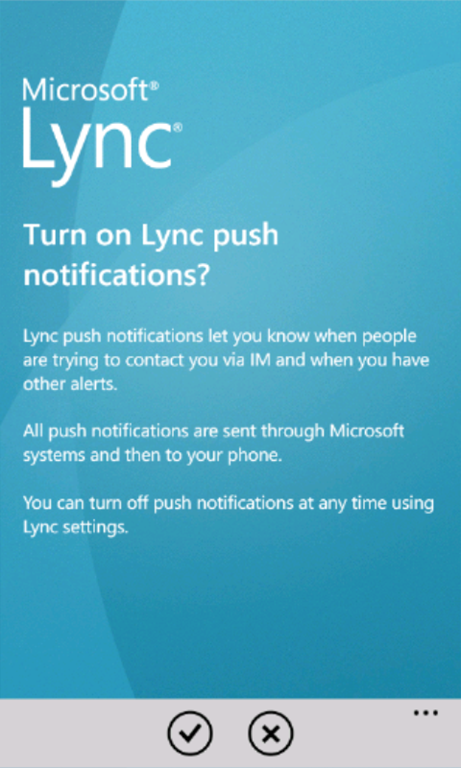 After coming back to my phone after an hour or so & several Lync conversations later I did have a notification on the live tile! 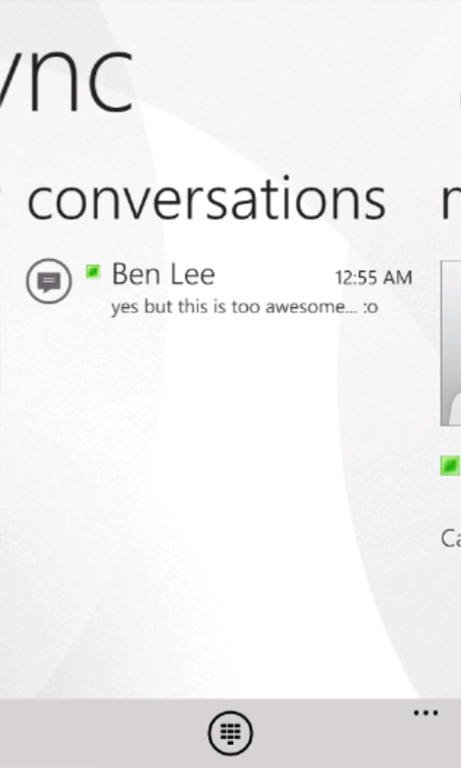 I’ll see if I can work out what the counter is for (i.e missed conversations?) 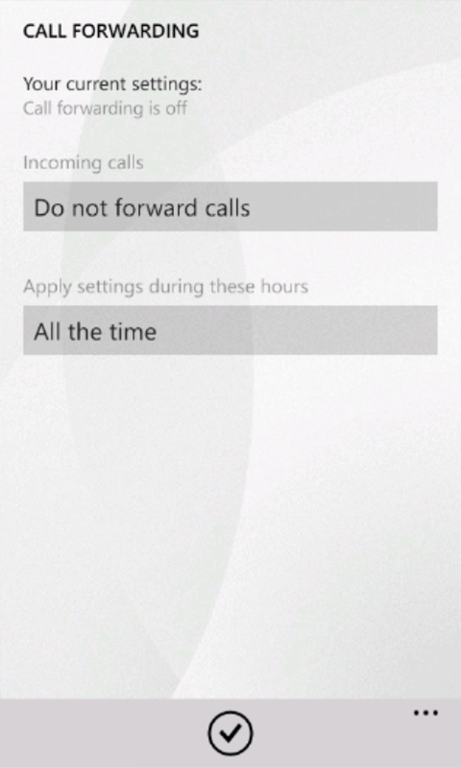 The counter seems to be for missed notifications & resets after you open the app. 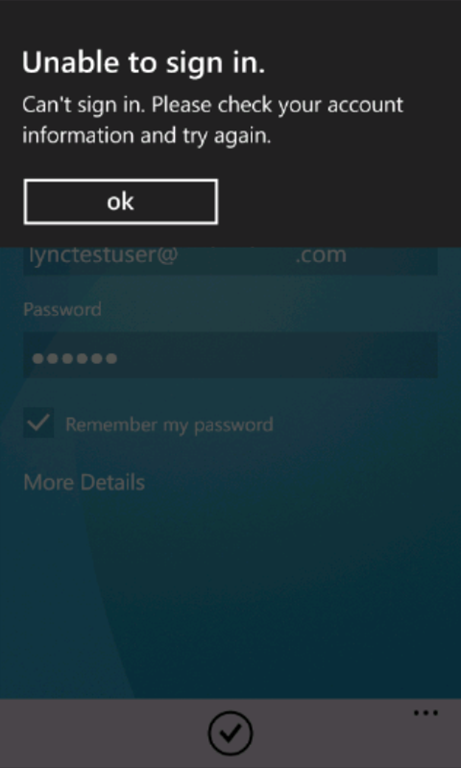 There doesn’t seem to be any way of changing the signed in user or updating a users password. You can sign out by selecting “sign out” under the menu for setting your status… I did some quick tests by signing a user in & then changing their AD password. 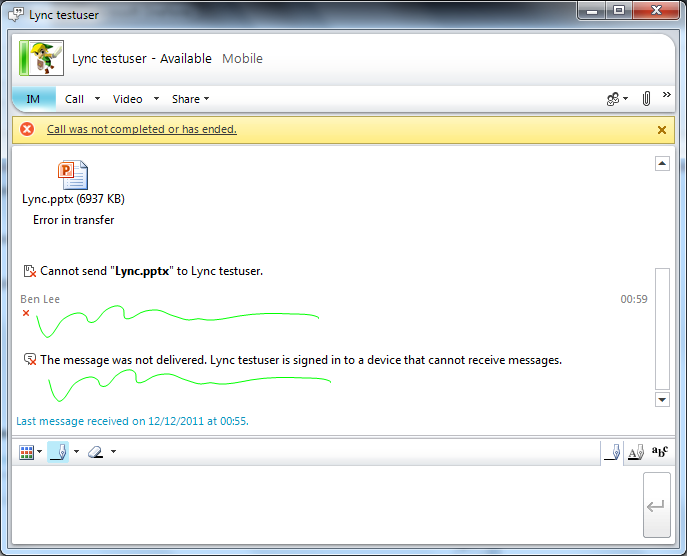 The Lync client was able to still connect and send/receive messages. 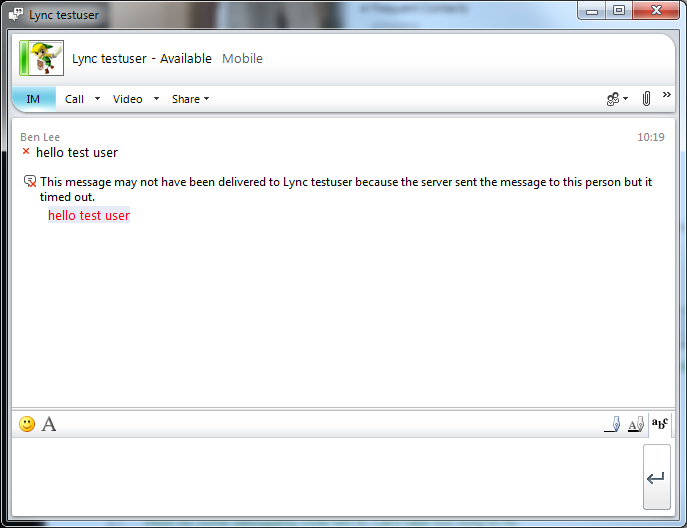 I’m hoping that this means the Lync client is using certificate authentication similar to the Lync hardware phones. 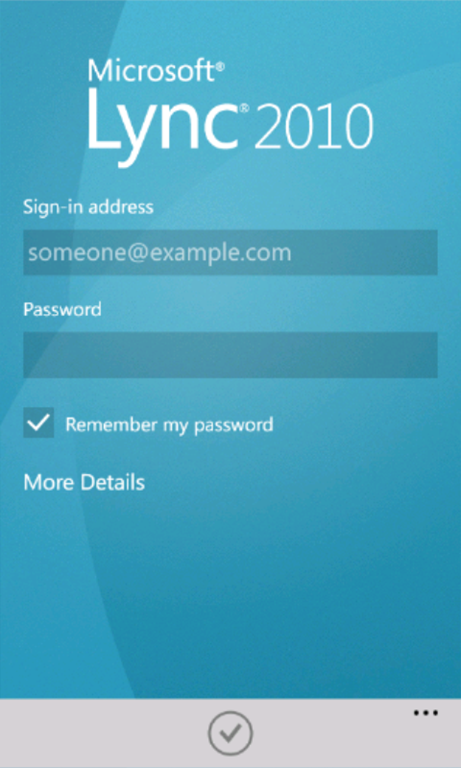 Either way it certainly didn’t lock my test account out which is generally a good thing…! 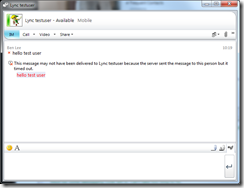 POST http://lyncweb.domain.com/WebTicket/WebTicketService.svc/Auth Passing credentials to server? Great article – very helpful in understanding the potential. I couldnt get the client to work yet as our infrastructure still has issues with autodiscover – I can’t wait though to get my hands on the client. Just a have a question. 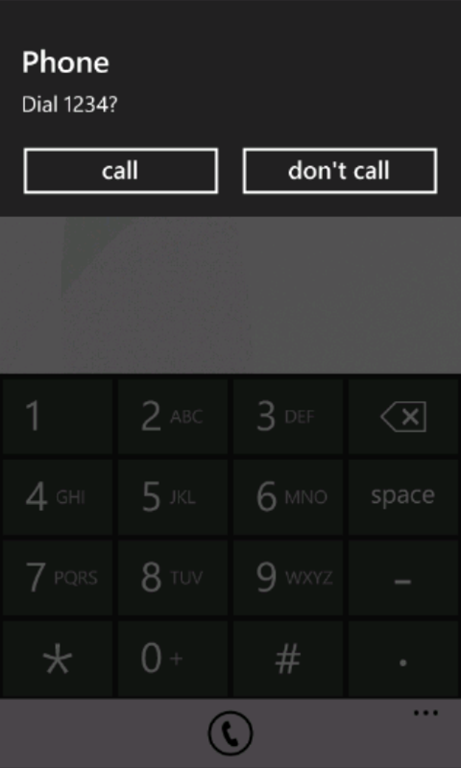 I’v installed this app but the dialer is not available. 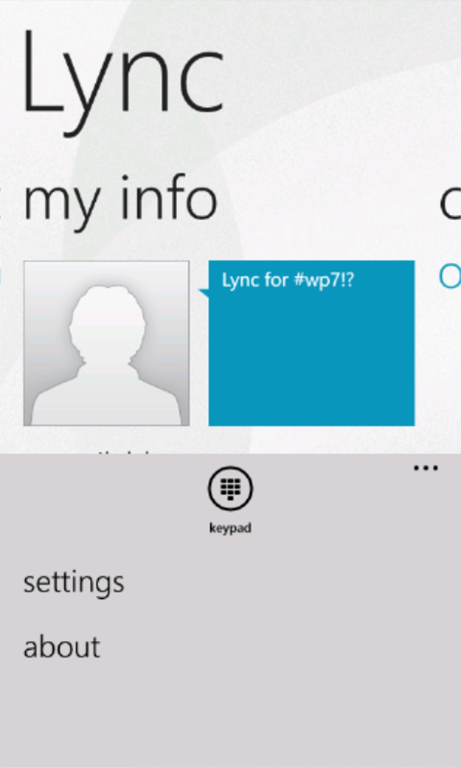 I’m using office 365 online with P1 plan. 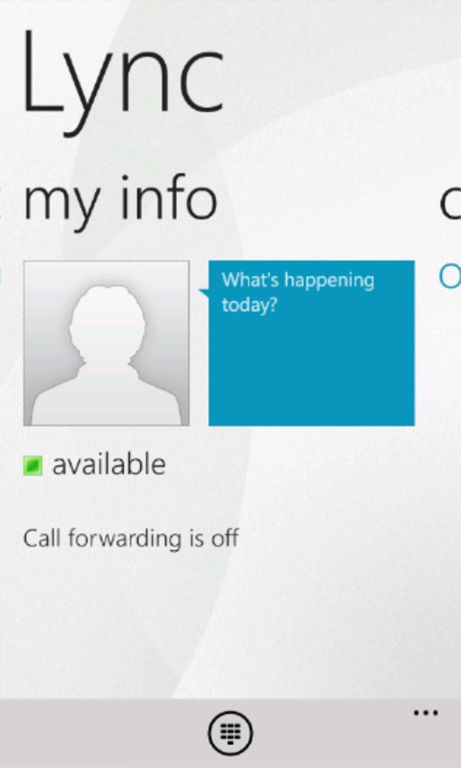 I can see my contacts, send them IM and mail but not dialer and the call icon is grey. 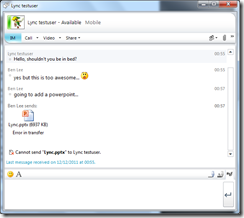 Office 365 Lync doesn’t support Enterprise Voice yet for making phone calls (hopefully coming soon from the Skype buyout!). 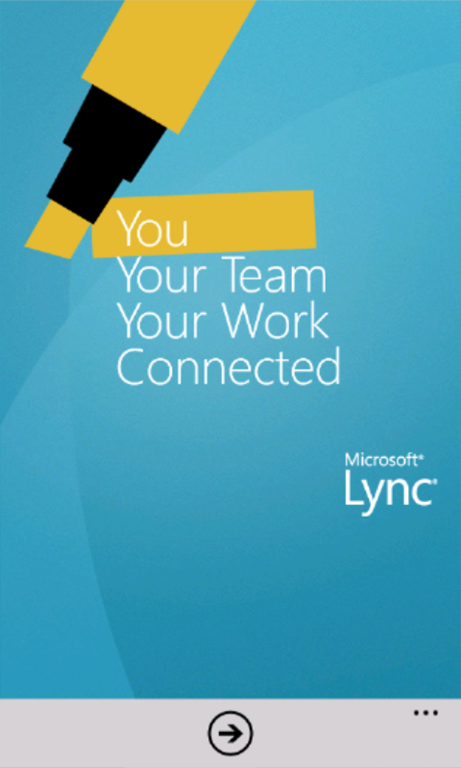 Do you know if your contacts have phone numbers attached to them, if the contacts have a phone number (check from the desktop Lync client) the app should show you a “call Work” in the contacts information page. 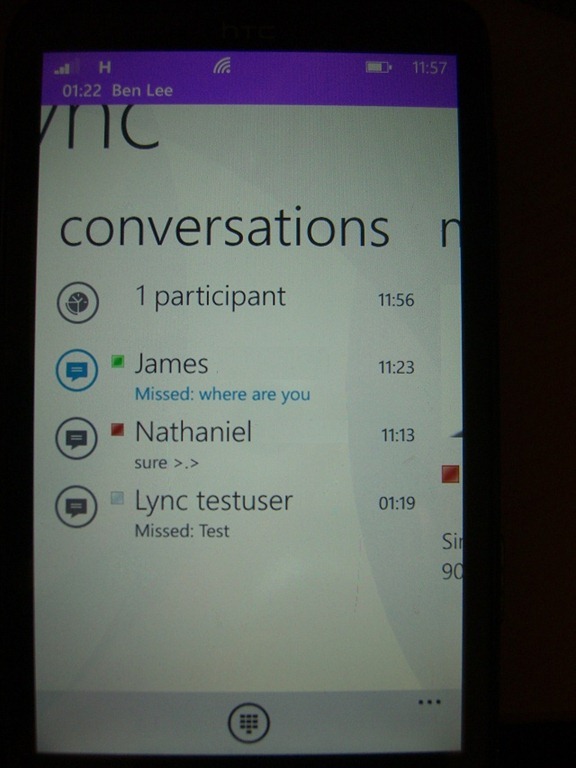 If you want I can give you my Lync address and you can do some testing against my contact..
Oh great please send it to me on my e-mail. 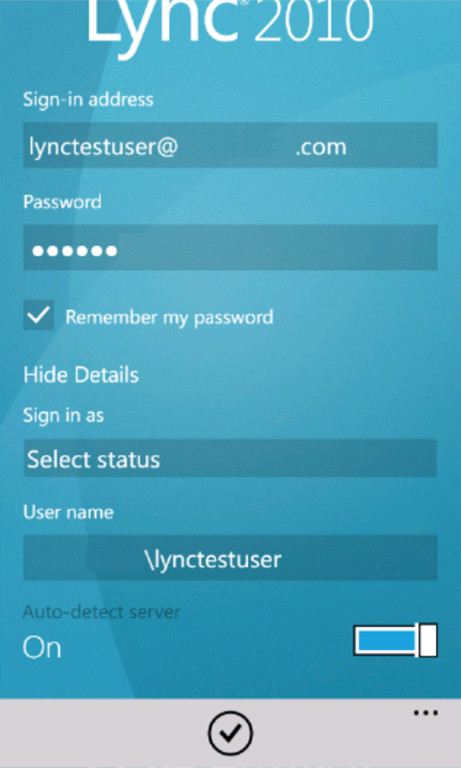 There is a way to change the login and/or password. You have to change your current status to sign out. 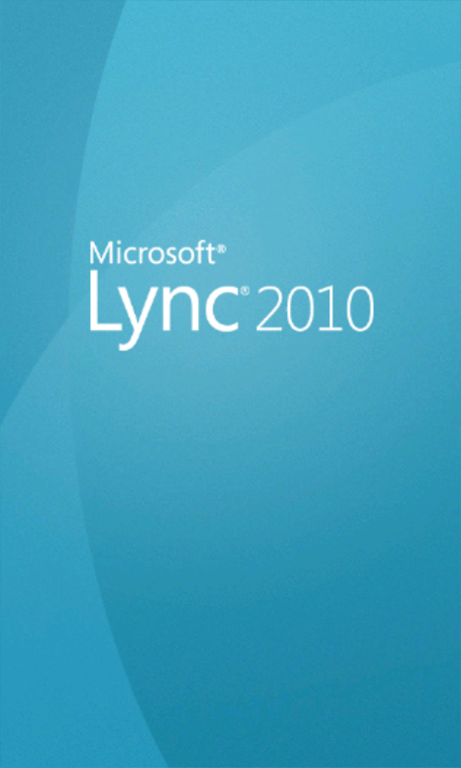 I have downloaded the XAP file for Lync 2010 and Installed it on my wp7. 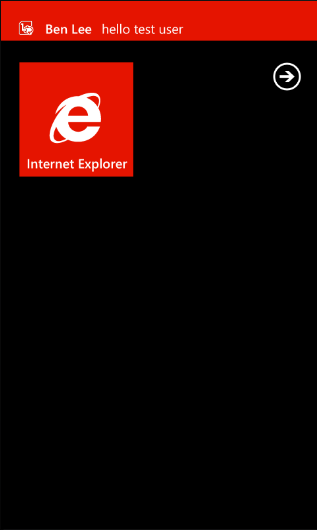 Installationq went fine but when I try to launch the app, it freezes on app start up screen and it doesn’t seem to change at all. I tried looking for the answers on the internet but couldn;t find something about this. 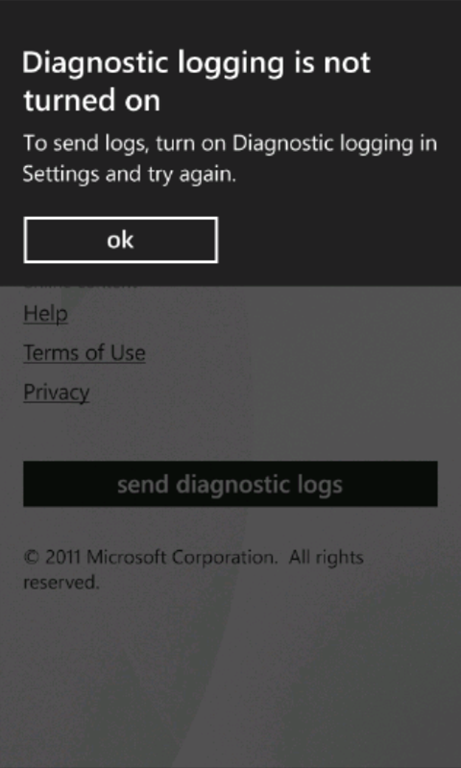 Can someone help me how can I resolve this issue and use the app. 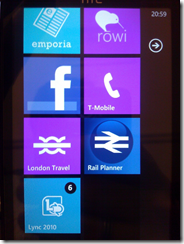 What version of wp7 are you running and which device? When you say you downloaded the XAP I assume you mean you installed it from the marketplace? 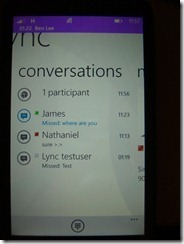 Did you install it via Zune, the WP7 web marketplace or from the device? Hi Guys, please let me know if there is any way to fix this. I am waiting. thank you. 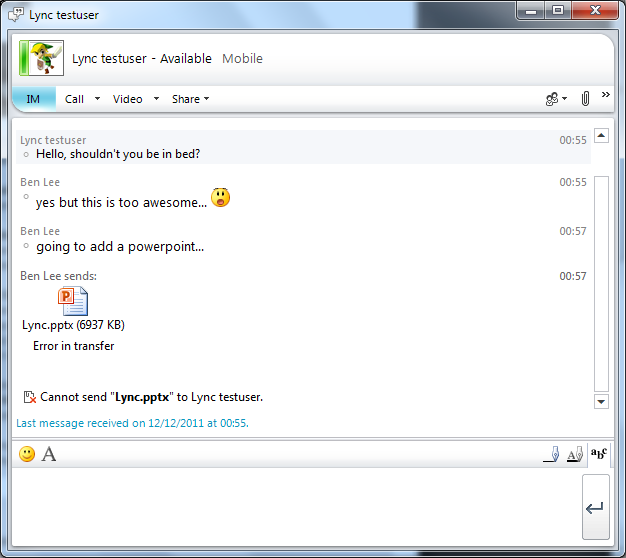 I assume you’re having to use a downloaded XAP because you don’t have access the Lync via the marketplace? 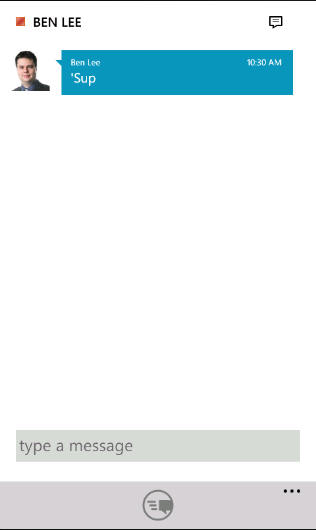 Thanks for the update. I believe the reason is that the Lync app is specifically made for WP 7.1 as it shows up in the wAPP software. I tried to upgrade my current version to Mango but unfortunately I am not able to side load apps on it and cant either unlock it using the Chevron. 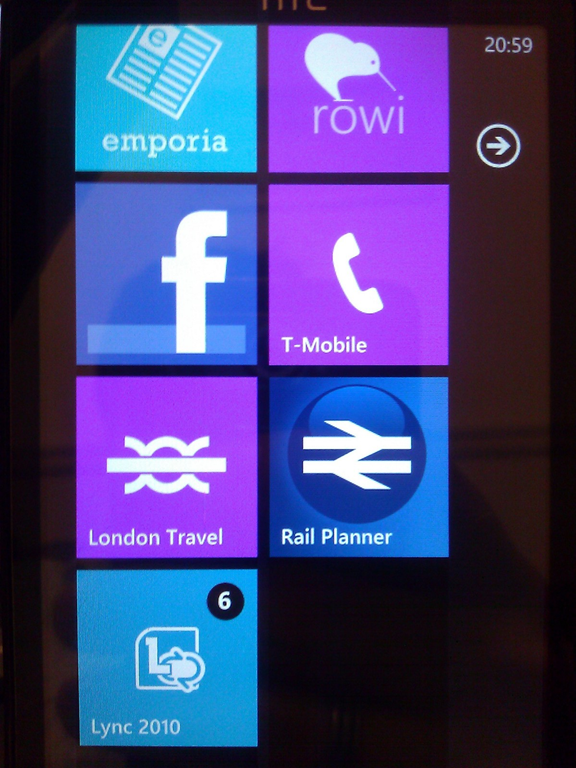 As such I had to switch back to my old WP7 which is developer unlocked where I can side load apps with out any trouble. Do you have any link for the Mango or post mango updated Roms that I can download and try installing it? I hope these are developer unlocked. Hoping to hear from you soon. 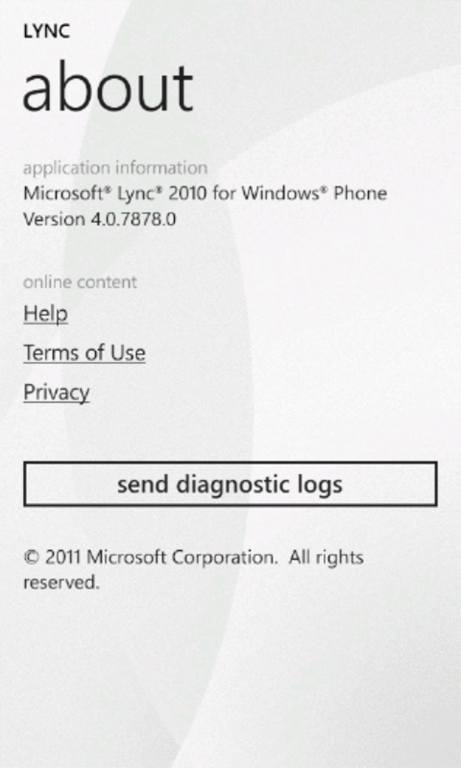 Will the same steps applied to Android Client? Hello, I have a question. 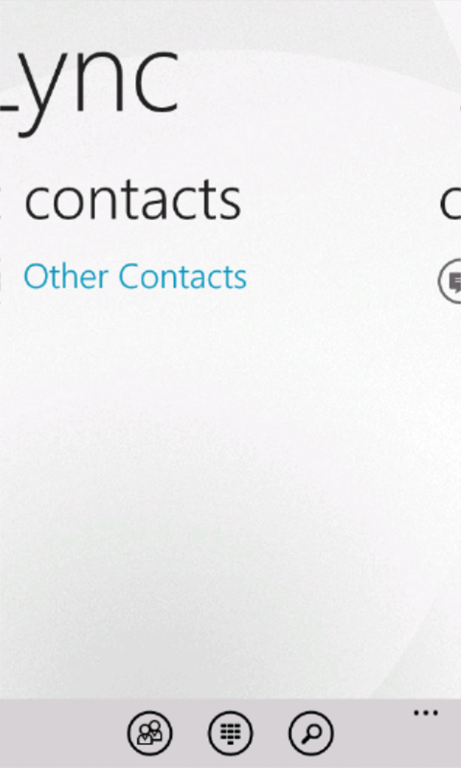 The iPad version of the app has an option to view iPad contacts and dial them out. 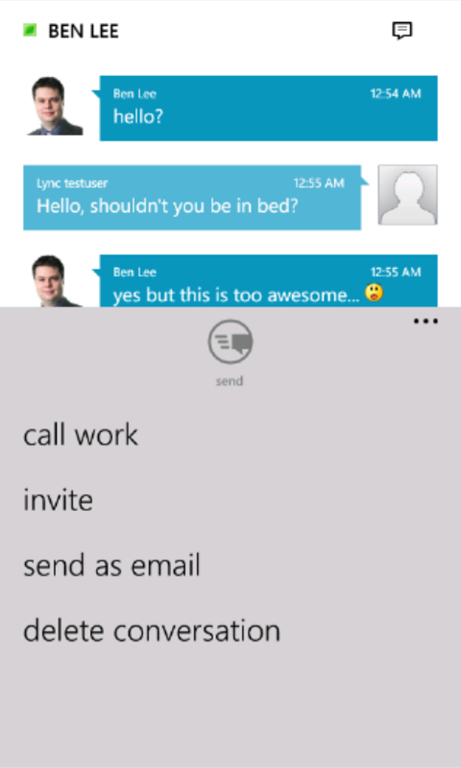 Why is there no such integration in the wp7 app. 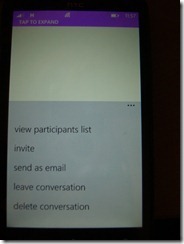 You would expect MS to provide all possible features in their wp7 app than in their iOS app. Or am I missing something? Just a follow up to my previous question. 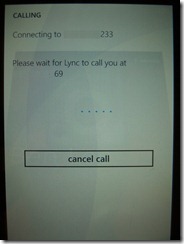 I know we can manually dial numbers, just wanted to know if there was a way to pick up your phone contacts. 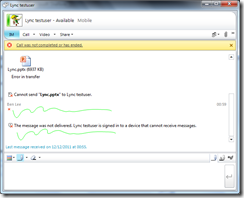 Or if alternately, there is a way to sync outlook contacts to lync on the computer (since phone and outlook contacts are in sync).